18 cm [xii], 185 p. : ill. The massive disorder and economic ruin following the Second World War inevitably predetermined the scope and intensity of the Cold War. But why did it last so long? And what impact did it have on the United States, the Soviet Union, Europe, and the Third World? Finally, how did it affect the broader history of the second half of the twentieth century - what were the human and financial costs? 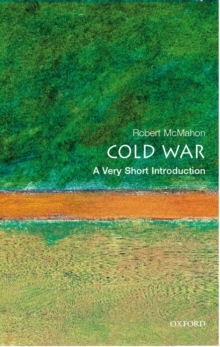 This Very Short Introduction provides a clear and stimulating interpretive overview of the Cold War, one that will both invite debate and encourage deeper investigation.